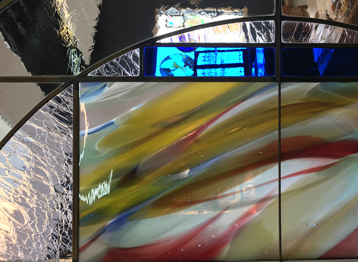 Artistic Glass is the Cedar Rapids area’s first and oldest continuously operating stained glass studio. Established in 1978, the business gained recognition for creative original designs and quality fabrication. 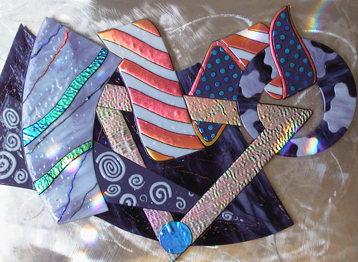 A broad vocabulary of techniques is employed to bring each unique project to completion and includes glass painting and silver nitrate staining, blast etching and carving, glass fusing and slumping, beveling, glue chipping and gold leaf gilding, to name a few. In addition to creating new work, Artistic Glass performs repair and restoration of antique stained glass, preserving the heritage of a bygone era so that future generations may appreciate the legacy left by the artists and craftspeople who preceded us. Our commitment to providing exciting designs meticulously crafted in a time honored manner is still the same as it has been from the beginning. 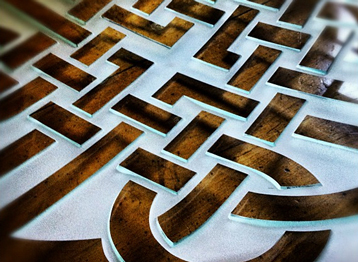 All panels produced by Artistic Glass are assembled with channels of either lead, zinc, copper or brass. The copper foil method is not used. Compare for yourself and you will understand why. Inexpensive glasses are likewise not used by Artistic Glass. 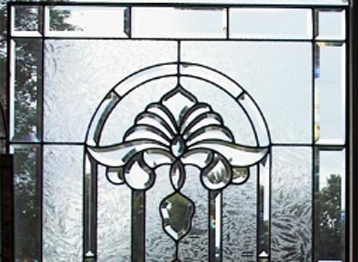 To create a piece of enduring beauty, our standards will not be compromised by the use of cheap glass! It is like having a suit made from burlap. It can be done, but it lacks appeal. Only the finest quality glasses from premier domestic and foreign manufacturers such as Bullseye, Uroboros, Youghiogheny, Kokomo, St. Just, Schott Desag, Freemont and Chroma are used. Let us show you how dramatic the difference between average and extraordinary can be.